The Melbourne Business Practicum is an opportunity for students to gain exposure to the business environment and solve real business problems. Mentor and Head of of Regulatory Credit Reporting at ANZ, Lara Douglas, tells us more. 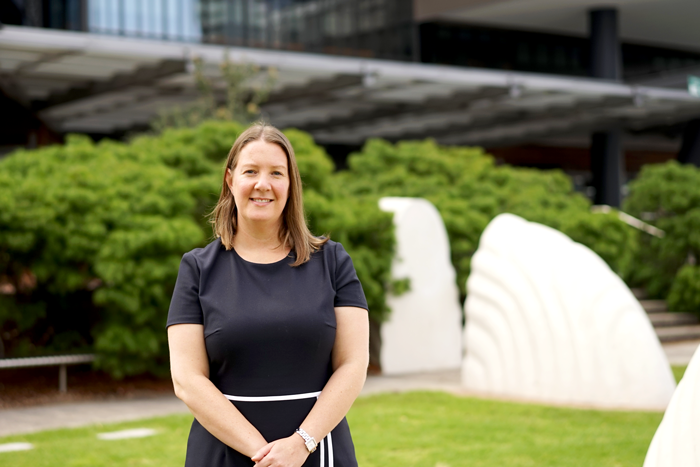 ANZ bank has been working closely with the University of Melbourne for more than five years, across business practicums, student internships and research projects. Many of our alumni have gone on to exciting careers at ANZ. Most recently, Wendy Chu, Ke Ma and Anupriya Verma secured junior Risk Analyst roles at the bank after completing their business practicum in July 2016. We caught up with Lara Douglas, Head of Regulatory Credit Reporting at ANZ, who mentored the students through their project. 1. How have you found working with the University of Melbourne students - biggest challenges? Happy surprises? The project team I worked with were highly engaged, worked incredibly well as a team and digested a huge amount of information in a short time. These are key qualities we look for in all our employees. The outcome of their analysis was presented to group executives and was judged to be on the mark and insightful. The two biggest challenges for me were containing their analysis and assumptions to be based only on external information. Their analysis and models were so well constructed it was tempting to provide more granular but confidential data to see the outputs. Secondly, the ideas they had to extend their analysis went beyond my area of expertise. It was at this point I was able to introduce them to other experts in the bank. A happy surprise was the students didn’t need any basic information – they went straight into the detail of the issue and their questions were based on their own research, which was impressive. Overall the quality of students we spend time with is extremely high, which motivates us to maintain our level of commitment to the program. 2. What does a regular day look like for a student on the ANZ consulting project compared to a junior staff member? The main difference is that the students get far less guidance than a junior staff member. We really try and stretch the students. Often we haven’t considered the problem before, and so we are looking for a fresh perspective and don’t have a clear idea of the outcome we expect. 3. How has ANZ benefited from having young fresh blood in the ranks? At ANZ we are always looking for fresh perspectives. In my area of credit risk regulatory calculations and compliance, an academic lens is always valuable due to the large amount of complex regulation we need to consider in our business practices and processes. We were all very impressed with the logical thought process the team went through and the quality of their outcomes. Having young students with the energy and drive to consume large amounts of information, think about it in a fresh way and be able to present conclusions logically was very exciting for us. 4. What are the benefits for students of getting this hands on experience and exposure to a professional environment at such a large scale? The projects we define are real business problems and require collaboration as a project team and discussions with various experts in the bank. Just like a real work situation, when the students bring a credible starting point to the discussions and ask intelligent questions, the bank experts become more engaged and committed to the project. It’s a great way to experience first-hand how to get the best out of each other to solve a new problem. The students work on-site and so can get a feel for the dynamics of a large organisation. Their final presentation to executives mirrors how the outcomes of analysis of problems is actually presented at ANZ. 5. What inspired the decision to recruit the three students? Had you hoped this would be the outcome / do you see consulting programs as an insight into up and coming talent? There is a huge amount of regulatory change on the horizon in the banking industry and the students' skills are exactly what we need to meet this demand. Hiring the three students crystallised after the executive presentation which they really nailed. To have achieved the outcome they did in such a short time, with no access to additional internal information and limited management guidance made us realise what they could do with more time and more support. 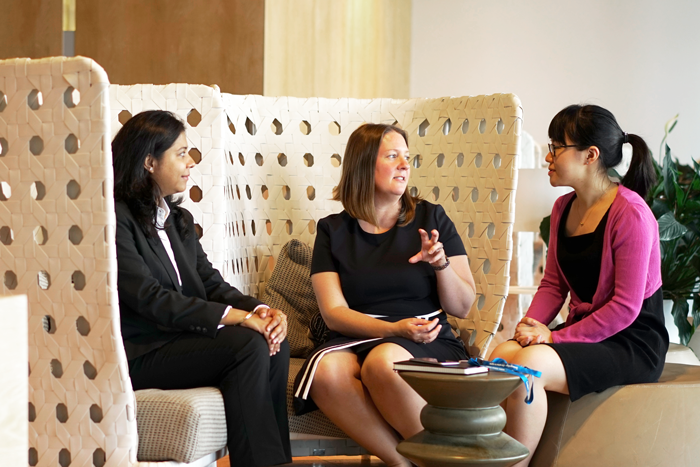 At ANZ we want to build a pipeline of talent that can serve the emerging and changing demands of the organisation and we see the consulting program as a source of that talent. For ANZ the Business Practicum is an opportunity to harness academic abilities to look at problems of interest, which may not have otherwise made it to the top of the bank’s priority list. Find out more about the University of Melbourne Business Practicum. To find out how to work with us and host a Practicum team, visit our Industry Page.